The Nautilus Mini BVC Tank is a mouth to lung style tank and is the best tank for beginners and those who like a mouth to lung vape. A mouth to lung vape, for those who don’t know what that is, is the same style of draw and inhale you would take on a normal cigarette. 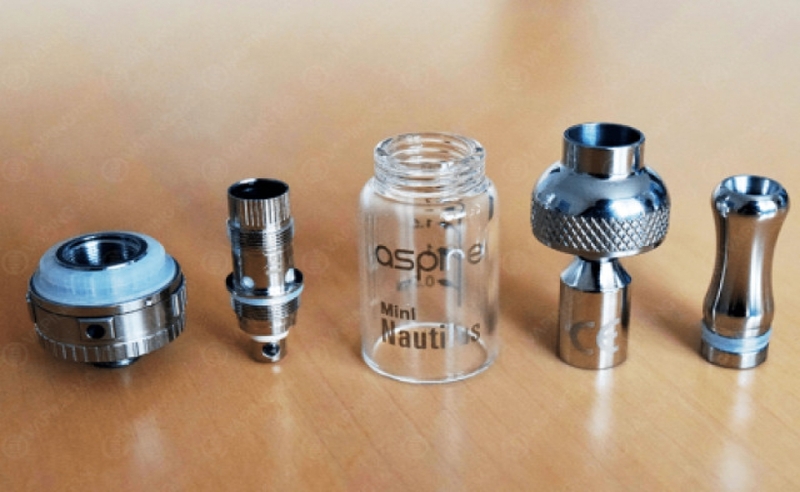 Many say the Aspire Nautilus mini is the best mouth to lung style tank on the market. Lontech Vape Shop recommend to use the Nautilus Mini around 12.5 Watt using a 50%VG e-liquid from Iceliqs Underground Series E-liquid (100% European Food Grade Ingredients 0% Alcohol 100% Pure Flavours) or 70%VG Ever Cloud at 6mg Nicotine. If you want more of a throat hit we would recommend using a higher nicotine level . We recommend to start with tobacco e-liquid until you stop using normal cigarette, then you can get our hundreds of different brands so if you love menthols, fruits, custards, donuts, lemonade, Ice cream, BCD e-juices. Lontech Vape Shop suggest using the Aspire Nautilus Mini on an Istick Power 80w TC 5000 Box Mod by Eleaf or any box mod, as this will give you a lot of battery and flexibility going forward. As with all Aspire tanks, the build quality on the Aspire Nautilus Mini is fantastic. It is made from stainless steel and the coils will last you a good time before having to change them. Lontech Vape Shop recommend to change the coil every 10-14 days and allow 3 minutes after filling the tank with e-liquid to allow the coil to get soaked. The Aspire Nautilus Mini features 4 different air flow settings allowing you to find the perfect draw. We recommend the widest air flow setting and it makes for a great mouth to lung draw. Beginners might want something with a slightly tighter draw. The new Aspire BVC Coil 5 Pack coils last longer, provide much better flavor and much more vapor making for a considerable more satisfying vape. The Pyrex tank is very sturdy, however there is a lot of exposure of the Pyrex meaning if you drop your Aspire Nautilus Mini, it will most likely smash and crack the tank. A solution to this is firstly try not to drop it and secondly if you are prone to accidents, I would recommend getting Aspire Nautilus Mini Hollowed Replacement Tank, Aspire Nautilus Mini Replacement Tank with T Window Sleeve and Aspire Nautilus Replacement Glass Tank. Overall the tank is the best for MtL.